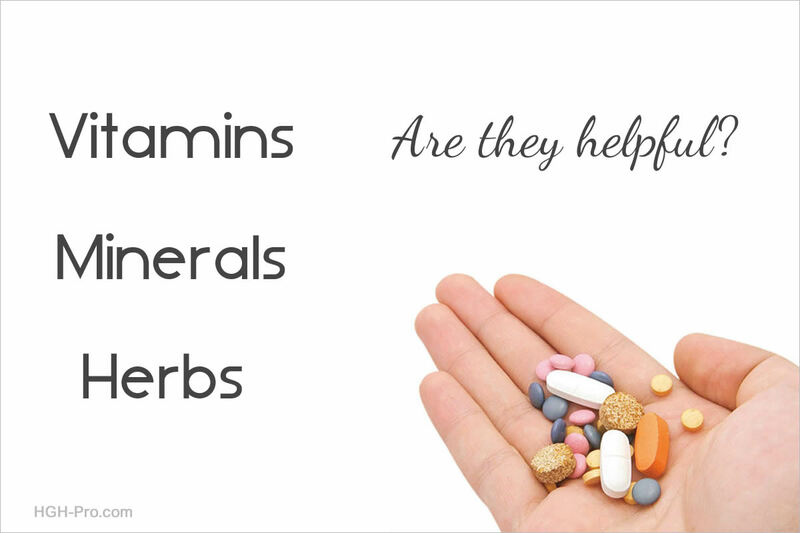 Are Nutritional Supplements Needed As We Age? In the past the general opinion of the medical community has been that vitamins and mineral nutritional supplements are not needed. However, we now know that diet alone does not supply most people with the proper nutrients needed and so nutritional supplements should be taken. One of the first articles to support the fact that the opinion of the western medical community is changing to a positive approach to taking vitamin and mineral nutritional supplements was the one that appeared in the Journal of the American Medical Association in 2002. Vitamins for Chronic Disease Prevention in Adults: Scientific Review. Kathleen M. Fairfield and Robert H. Fletcher, Journal of the American Medical Association. June 19, 2002, Vol. 287 No. 23. The U.S. Department of Agriculture (USDA) recommends we eat at least 3-5 servings of vegetables and 2-4 servings of fruit per day. They say that doing this helps us to get our "DV" (Daily Value) of nutrients such as the required vitamins and minerals. Their DV was established by the National Academy of Sciences, however, new research is showing that getting our daily dose of nutrients from food alone may be inadequate for optimum health. The DV numbers were based upon the amounts of a vitamin needed to prevent a deficiency of that vitamin and then a margin of error was added. Research is showing that the DV recommended amount of vitamins and minerals may be less than the amount needed to achieve optimum health. 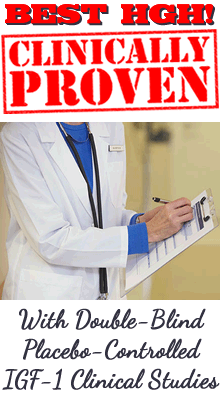 Some nutritionists believe the DV has not kept up with the findings of new research. They believe that the recommended amount of certain vitamins and minerals should be 2-5 times more than the current USDA's recommendation and in some cases even more. With the way foods are grown and prepared today it is believed that the majority of people do not receive even the USDA"s daily recommended amount of vitamins and minerals from food alone, and with new scientific findings showing that the DV's may need to be increased it is even more unlikely that food alone will provide the amount of vitamins and minerals a person needs for optimum health. A study done by Dr. Bruce Ames, at the University of California Berkeley showed that alpha-lipoic acid and acetyl-L-carnitine given to old rats improved memory, increased energy, and increased cellular energy producing mechanisms. After the study Dr. Ames stated "with the two supplements together these old rats got up and did the Macarena. Everything we looked at looks more like a young animal." This study supports the importance of nutritional supplements in anti-aging. U.S. researchers conducted a one year study comprised of 130 adults over the age of 45. In this double-blind placebo study some test subjects took the multivitamin and multimineral supplement and some took the placebo. The test subjects who took the multivitamin and multimineral supplement became ill from infection 43% less than the test subjects who took the placebo. Diabetic subjects also participated in the study. Of the subjects who took the supplement only 17% reported an illness, whereas 93% of the subjects taking the placebo reported an illness. To those who are taking our homeopathic hormonal and anti-aging products I say that no matter how good any hormone therapy is, we now know without a doubt that the results of any anti-aging therapy will be better if the body is supplied with the nutrients it needs to heal, rejuvenate, and improve itself. That is why I recommend our clients take a good multi-nutritional supplement, of course with their doctor's approval. This should help provide the body with the building blocks required for optimum anti-aging and health and fitness. "Everybody, regardless of age or health status, take a daily multivitamin." "There is strong evidence that multivitamin and mineral dietary supplementation is perhaps the single most potent preventative health measure that offers the greatest return on investment." "It's rare to find a health promoter that offers such a substantial benefit with a relatively low cost and low risk of problems. When you have such a thing, you ought to jump on it." All Multivitamins Are Not the Same! When it comes to good health and optimum anti-aging taking the cheapest vitamin and mineral supplement is not the way to go if you want to look, feel, and perform at your best. Although you will find some who claim that very low cost and generic supplements are just as good as any other supplements, I do not agree. According to the Physician's Management Journal every one dollar in three spent on vitamin supplements is wasted. The reason there can be such a difference in the quality and effectiveness of these supplements is the fact that vitamin supplements are regulated by food laws and not by drug laws. Food laws do not require the strict manufacturing standards that are required in the drug industry so there can be vast differences in the quality of raw materials and the manufacturing processes used, which can also lead to products that are not well absorbed. Those who have only taken such supplements may come to believe that all vitamin supplements are not effective and won't help them when in reality if they had tried a high quality product that is well absorbed they would probably have quite a different opinion. I recommend taking a product that derives 100% of its vitamins and minerals from whole foods rather than the common isolated synthetic source. Nutrients sourced from whole food contain the co-factors that nature provides to aid in the assimilation of the nutrient. It is estimated that nutrients sourced from 100% whole foods have about an 80% assimilation rate, which is good, while isolated synthetic nutrients have only up to a 30% assimilation rate, which means about 70% of the synthetic nutrients are not being properly absorbed and utilized by the body. Health Tip: There are some supplement companies that add whole foods to their vitamin and mineral product so they appear to be a whole food product. 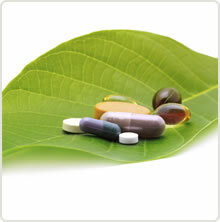 However, the recommended daily values of vitamins and minerals in the product are synthetic. Look on the label for confirmation that the product is 100% whole food and does not contain any synthetic nutrients. Please note: I always recommend everyone consult their private healthcare provider about taking any health or nutritional products.